Can Aion Dethrone the King of MMOs? When NCsoft showed me a demo of their soon-to-launch, massively multiplayer fantasy game, Aion, at the E3 show, I saw a lot of reworked themes common to this fairly mature genre: A pair of at-odds races, each vying to wipe the other from their common home planet; user interface elements familiar to anyone who’s played any of NCsoft’s titles; and a persistent world that’s as dangerous as it is beautiful. But what I didn’t expect was a discussion about the game’s launch in Asia, which happened some months ago, and how rapidly the game has caught on and expanded in China. The game’s International Development Manager (international, that is, for South Korea-based NCsoft), Yong Taek Bae, explained that the game’s initial launch broke all kinds of records. On Aion’s Korean launch day, beginning at 6am local time, when the company switched on servers and began allowing paying customers to join the game, 11,000 players signed on each hour. By noon, the company had to turn on four additional servers — in addition to the 21 running at launch–to accommodate the crowd. Each server is capable of supporting 7000 simultaneous players. But that was nothing compared to China, where the local company operating the service had to double the volume of servers after launch; They’re currently running around 70 servers continuously to handle the constant, heavy demand. So the big question in my mind is, could Aion pose a significant challenge to the 800 lb. gorilla that is Blizzard’s World of Warcraft? If the draw in Asia is any indication, it’s certainly possible. One big question remains: Can the company appropriately and accurately “re-culturize” the game — not just translate the text from Korean to English, but modify the storyline to accommodate English euphemisms, and American cultural references and themes. NCsoft says it’s hired a team of seasoned fantasy and sci-fi writers to do just that. It remains to be seen whether six months of tweaking and balancing gameplay based on player feedback, and good writing, will be able to help the game overcome the out-of-the-gate second class status afforded to any new, non-Blizzard MMO. They might just be able to put a dent or even a crack in the Great WoW’s armor. That’s also considering the fact that WoW China would be down for at least a few weeks due to the NetEase Turnover.. all those millions of Chinese players ought to look for something else to play right? However, I’m not as optimistic about their impact on the western world, and you’re right, Aion’s ability to cut across the cultural boundaries would be crucial to its success in the NA and EU markets. I played it, and it doesn’t even compete with WoW. It’s a grindfest, badly designed and awful combat system. It feels like a console game on a PC. Not being an FF fanboi, it really really doesnt appeal to the western market and they’ll have a hard time pulling it off. Man, grind is a cultural problem, easten people (aka asians) love grind, while we think that’s a problem they think is hardwork for the recompense of being high level. If the game has everything wow has + grind + beautiful graphics + the marketing, then it will become a hit there. Now we have to see if Aion game is going to have the same impact here. Newsflash: WoW is a massive grind-fest. For those who say Aion is a grindfest, then either you did not play it, or you are just trolling. I played Aion China, and I quested all along, never really stopped to grind. The game is actually very similar to WoW in a lot of ways. Do not forget that WoW did not get 11 mill subs in the first year, it took them 4 years to get these numbers, so in time I do think Aion will be a contender. Don’t forget, a lot of people playing WoW are tired of it, they play it because there’s nothing else as casual out there. Uhhh no lol. I’ve been through korean grinders and WoW is no where close to a “grinder” not even much of a “grindfest”. Instance wise maybe but still not close. you are slepping .the game is gonna get released by 1 sep .but i will stick with aion china or korea as i know this game wont make a success in america or europe .and will only be l;eft in asian countries. Have to agree with nbaidoun. It’s far froma grindfest…never did I find myself stopping, outside of quests, to level up my toon..love the storyline and cut scenes…very artsy..
What’s with this asian grindfest theme and why does every game that derives from the asian market automatically get this title without people stopping to play the game? If you actually read anything about Aion, or typed it up in google, you’d see this is not the case. Correlation does not equal causation my friend and I think this game is going to teach you that lesson. As a former Tabula Rasa player, I got the chance to participate in a closed beta event and found Aion to be promising. There’s a lot to do, the world is really nice and combat is fun, Being played both Guild Wars and WoW, Aion feels like something in between. I’m not very enthusiastic about anime and asian MMOs in general, so I was a bit wary of the game, but it was surpisingly polished and entertaining. The game ran well on a Phenom system with Geforce 9600 and 4G RAM running Windows 7 RC. Character creation is detailed, your avatar is highly customizable, albeit there are but a few classes to choose from and only two races (of which only one was available during the particular event). The UI is well thought out, and the program is overall user-friendly. I found no annoyances here. Playing a warrior to level 10 in a few hours, found that quests were detailed and diverse. There were some ingame cutscenes before and after of major quests helping with the mood. Overall, I hope that later levels will have similarly high quality content. Questing with the warrior was not too difficult: I didn’t die during the beta event. There was cool rewards and nice drop from monsters. For finishing quest chains, one can get titles like “Tree Hugger” or Poeta’s Protector. Selecting an active title directly boosts your stats. This game has clearly proven its worth in the first beta weekend here in NA. For those saying it’s a grindfest, its this and its that. Oh Please, you havn’t even played it if your saying these things. First of all the UI is one of the most unique out there making it easy. Second of all it holds 7000 players per server and china already has 70. How many players is that in china alone? thats right 490,000 players. oh and growing at that. Korea is still growing, you got many other countries yet to get it, and NA isn’t launched yet either. Aion in it’s first year is easily gonna top a few million players. Remember It took WoW how many years to reach 9million accounts? and thats accounts not players. Many players have multiple accounts. no doubt players in aion will do the same I’m sure of it but the potential to overcome WoW is definitely there. I’d say in a few years Aion may just be the most talked about game. Its got beauty, things to keep you busy, subclasses to keep you entertained, and is much bigger than WoW world wise and offers just so much more than WoW. Look at the reality here. 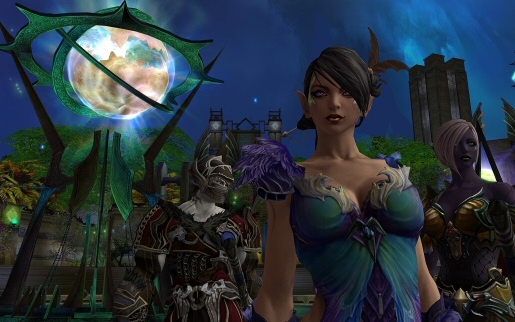 Aion appeals to younger and older gamers. Is easy to play, and so forth. I see WoW finally dying out and I can’t honestly wait. its not a grindfest. did you have a full translation of the game in English? how are u sure it will not put a dent on wow? just play it when it is release in your are for 1 month and you will know..
LOL People still call this game a grindfest? 100% positive after leveling 10+ characters in WoW that I’ve done more grinidng in WoW than i have in aion, or at least equal. I’m currently at level 35 on my second character in the chinese beta and it’s been pure bliss in later levels when you get to start doing more with the game. Quit WoW after it was destroyed with Wotlk. And the fun of the game is not at early levels, it comes gradually when you level up, and u can feel where the game goes when you start being lvl 20. Ignorant and lazzy ppl who dont even “try” to find true info about this game, your ignorance make me laugh hard. At the launch of every new MMO a thread with this type of topic emerges. Does it really matter if the new game ‘dethrones’ the current game that has the most subscribers, no. The ones that care or even start the topic have long left the game in the comparison. Fact is people like change. It’s why there are so many different variations of things in the world. 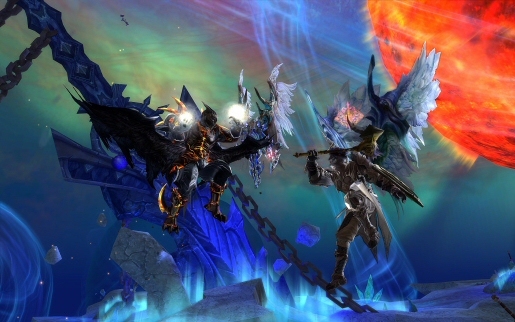 Many people will try out Aion because they are bored with what is currently out there. The same thing will happen after Aion has been out a few months or a year. It’s hard to keep ones interest for a long period of time. It’s why players jump to every new game that is released. As for killing the games that are currently released, it won’t do that. Only the people that carry the title of the game can kill it. Every MMO that still is playable has some sort of customer base or it wouldn’t still be online. Each game will always have its following…just like your cult classic movies and tv shows. Everyone likes something different. I would hope that game companies can derive on past ideas from the older games to make a flashier enviornment, easier to use interface, and customizable characters and options. They’ve had years and years to look at the successes and shortcomings of every game that came before theirs. 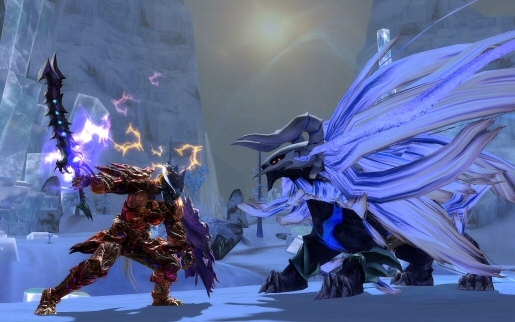 Will Aion dethrone WoW or kill off other games that are still being played? Who cares? Focus on what interests you. Most people have already given up on the games currently out there so why dwell on the past. Aion looks very solid. Several things in its favor. It’s new. Its fresh to North America. It is visually quite stunning. Character costomization is a fantastic hook to players. From the look of other NCSoft titles upgrade/expansions may come a bit more regularly then Blizzard has popped them out. I noticed right away (I went looking) there is aparently not anywhere near as large a “Black Market” around this title (and the other NCSoft titles..Liniage has been around since at least 2006 from the looks of things) as there is in WOW. The Black market in wow is some “grinding for gold and drops” but even they are a minority..Most game gold in WOW is from hacked and stolen accounts (addendum.. most likely better then 80% of the ingame gold sold). The Black market in WOW has utterly ruined the ingame economy. Crafting in WoW is a waste of time and resources for the most part, at least when it comes to tailoring, and armor/weapon smithing.. better gear drops then you can make. Wow has far to many other issues to name. I've been playing WoW for so long, after trying out Aion I've started with enjoying it's beauty, by the time I hit 20 I started to slowly get bored of the game, which atleast as an asmodean there's a little grinding to do from time to time. Somehow I managed to continue, and at this point I'm loving the game, it's giving me the feeling that I had when I just started WoW a long long way back in 05. I've level a char to 30, and now I'm working on another 4 characters to hit 30 before going back to my first (there's a reason for this, if you get a char to 30 you will find out) and the more chars a play the more I realize this game has so much to offer by just playing other chars, every single class/path feels completely different! you may end up using the same keys but you just get a completely different outcome! (imo Sorc until this point seem the most boring, mines only 20)…Brilliant game, give it a try you have nothing to lose.